I had some foil in our bin of gift wrappings. It was leftover from a gift someone gave us last year. Yes. I’m one of those who keep gift wrappings. Mostly gift bags and tissue papers. 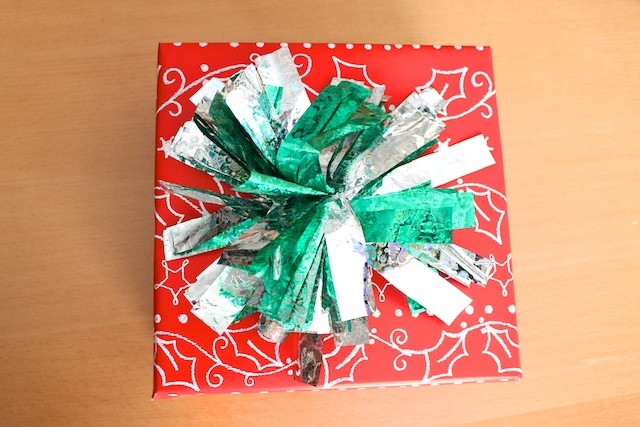 This was a simple and quick way to dress a simple wrapped gift. 1. 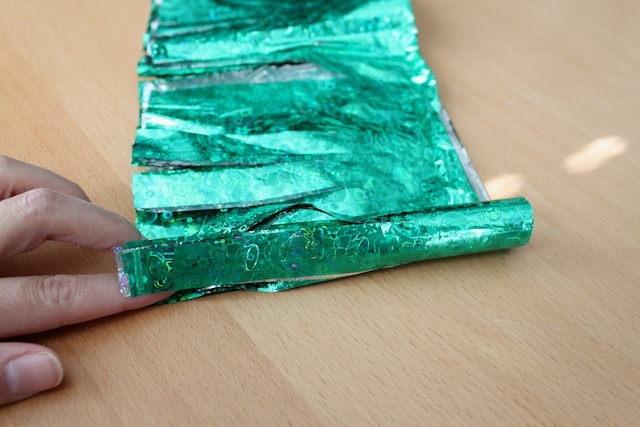 Fold and cut the foil into 4 equal pieces. My foil was double sided with silver on one side and green on the other. 2. 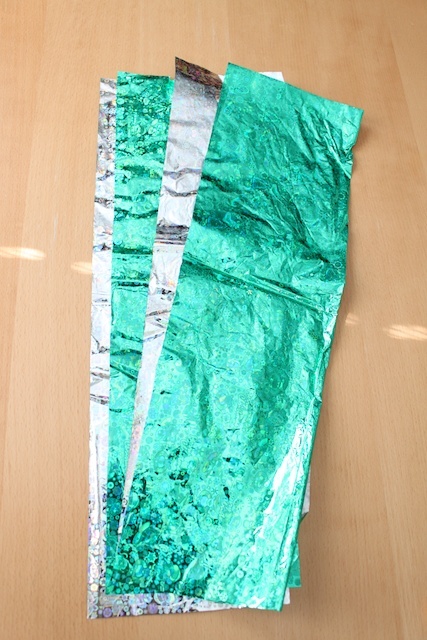 Stack the foil sheets on top of each other. Cut into 3/4-inch or 1-inch strips. But don’t cut it all the way to the end. Leave the last inch from the end uncut. 3. 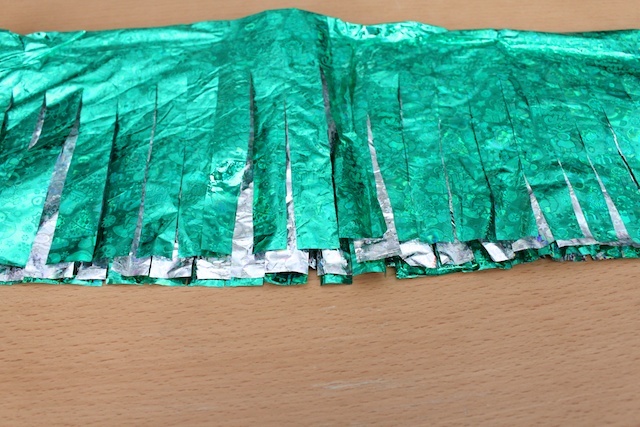 Stagger your 4 pieces of your foil a little bit so the cuts of the strips aren’t lined up. This makes it look fuller. Then roll it into one roll. 4. Use the thin wiring, wrap and tie it at the end of the strip cuts. 5. Cut off the excess stem. Tape, glue or tie the tassel to the gift. And done! Now you go wrap it up! 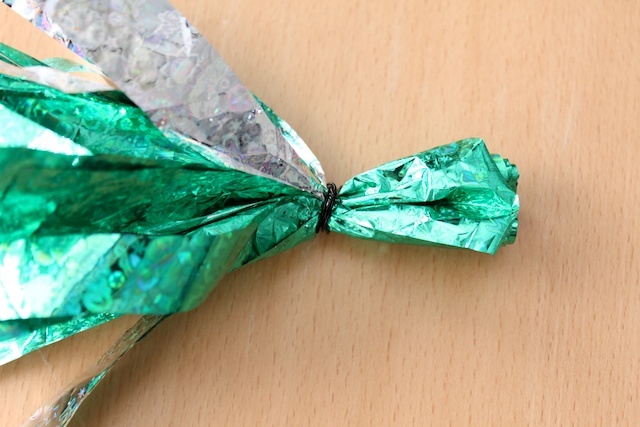 » Tell me… Do you wrap with foil sheets? 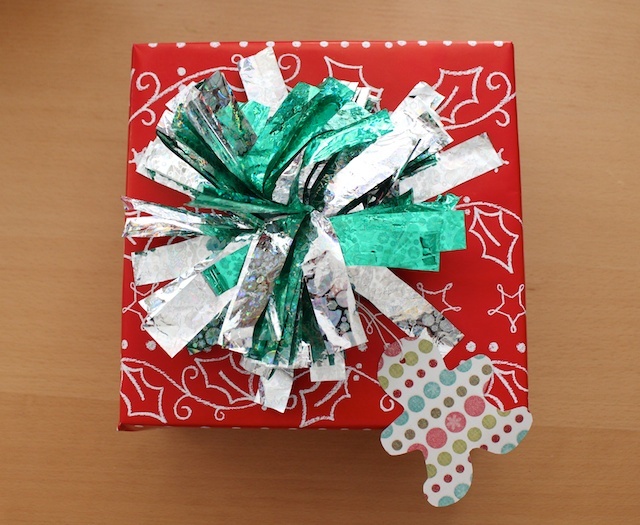 Are you a gift bag or a wrapping paper kind of wrapper? Nice! 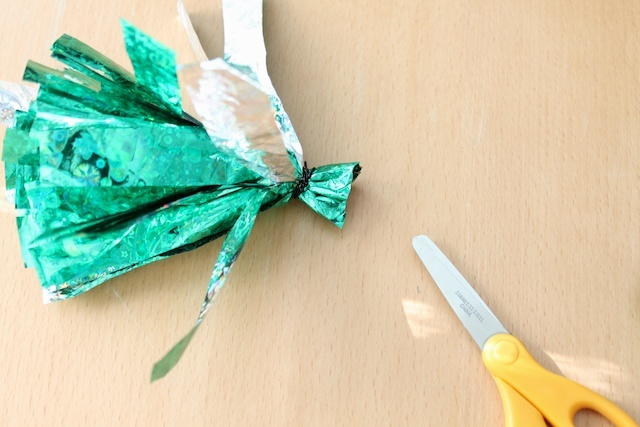 What a great idea to reuse the foil gift wrap – especially since that’s a material that can get easily crinkled and might be hard to reuse stylishly. Thank you for sharing!